Club NewsAll this week, as we look forward to welcoming our heroes from 68/69, 78/79 and 88/89 back to Selhurst Park for the Everton game this Saturday, Crystal Palace will be looking back at the anniversaries of those three glorious promotion campaigns for the Eagles. Club NewsCrystal Palace stormed to a triumphant victory over Arsenal at the Emirates stadium this afternoon, and you can re-live every key moment from the fantastic clash already for free. Roy Hodgson insists Wilfried Zaha is happy at Crystal Palace. Zaha put a host of top clubs on alert this week by revealing his ambition to play Champions League football. MARTIN KEOWN: I can understand why Unai Emery would want to rest eight players for Sunday’s visit of Crystal Palace and trust in his squad. His plan backfired. Club NewsJames McArthur was amongst the goals this afternoon as Crystal Palace defeated Arsenal away from home to record one of the finest results of their season. Cardiff manager Neil Warnock branded Mohamed Salah a diver after the Liverpool forward won a controversial penalty as his side moved back to the top of table. SAMI MOKBEL AT EMIRATES STADIUM: When Christian Benteke scored, Roy Hodgson should have guessed his luck was in. He hadn't scored for 358 days prior to this clash. First TeamCrystal Palace owe their remarkable 3-2 victory over Arsenal today in part to frontman Christian Benteke, one of three goalscorers in a triumphant win over the Premier League's stand-out home side. Club NewsCrystal Palace manager Roy Hodgson today oversaw one of the finest results of the Eagles' season as the south London club recorded a remarkable 3-1 victory over an Arsenal side who hadn't lost at home in the league since August 2018. Club NewsCrystal Palace recorded a triumphant victory at the Emirates stadium today, beating a typically indomitable Arsenal side at home to claim three points on a sunny Easter Sunday. Vote for your Man of the Match from Arsenal triumph now! Match ReportsArsenal 2-3 Crystal PalaceCrystal Palace recorded a remarkable victory after a tough battle today as they stormed what was swiftly becoming an impenetrable north London fortress to take three points from Arsenal with three emphatic goals. Club NewsRoy Hodgson has named three changes to his starting lineup from the XI that kicked-off against Manchester City last Sunday. Arsenal will hope to complete an impressive week with a third straight victory as they look to see off Crystal Palace and move into third in the Premier League table. Follow all the action here. Club NewsIt's matchday and Roy Hodgson's Crystal Palace are getting ready for a huge test against Unai Emery's Arsenal today as they begin to wind down the season. Club NewsPalace face Arsenal this Sunday at 4pm, the perfect time for an Easter Sunday sit down to watch the football. EXCLUSIVE BY SAMI MOKBEL: Zaha underlined his intention to leave Palace ahead of next season in an exclusive interview with the Daily Mail on Saturday. 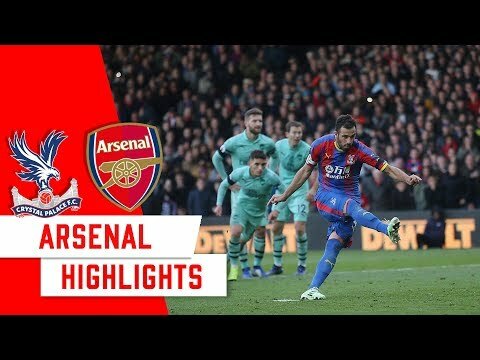 Club NewsCrystal Palace 2-2 Arsenal - 28th October 2018Luka Milivojevic exorcised his penalty demons by netting twice from the spot to gain Palace a point against Arsenal on an enthralling afternoon in SE25. EXCLUSIVE BY ADRIAN KAJUMBA: When Wilfried Zaha talks about being more determined than ever to succeed, he leaves you in no doubt that he means it. You can see it, hear it, feel it. EXCLUSIVE BY ADRIAN KAJUMBA: In an interview with Sportsmail, Zaha put the big clubs on alert by outlining his ambitions to play for an elite side in the Champions League and challenge for trophies. PETER CROUCH: It's the time of year when individual awards are presented and this week’s column is a celebration of the players who have produced consistent excellence. Roy Hodgson insists Wayne Hennessey is desperate to improve his knowledge of Adolf Hitler and Nazi Germany following the revelation that he did not know what a Nazi salute was. Club NewsOn a sunny day down at Crystal Palace's training ground complex, Roy Hodgson was looking ahead to what the Eagles could potentially do against Arsenal on Sunday. Club NewsDue to injury, Crystal Palace's Jeffrey Schlupp was an early first half sub against Manchester City and Roy Hodgson today provided an update on the Eagles man. Club NewsAhead of Crystal Palace's clash with Arsenal this Sunday, Eagles manager Roy Hodgson delivered his pre-match press conference to preview the game. EventsSun, Selhurst and that sweet, sweet nectar - what more could you possibly want from the ninth annual Crystal Palace Beer Festival? Well how about a commemorative glass to mark the occasion! Club NewsAhead of Crystal Palace's clash with Arsenal this Sunday, Eagles manager Roy Hodgson will be delivering his pre-match press conference to preview the game. 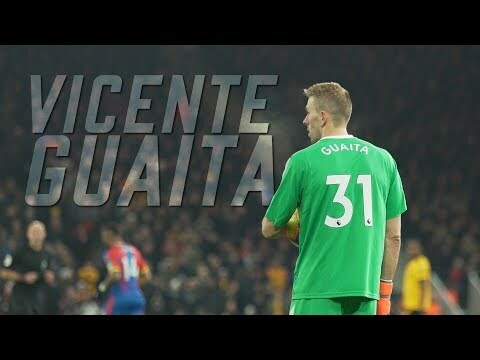 Club NewsVicente Guaita is hard to miss in south London. DevelopmentCrystal Palace Under-23s lowered the curtain on their season today, finishing in third place after a well-fought 3-2 loss against Watford. Match ReportsCrystal Palace's U23s season came to a close down at the training ground today, losing 3-2 to Watford meaning the Eagles narrowly missed out on a play-off berth. Club NewsPalace fans can now buy an extremely limited edition t-shirt featuring a design influenced by Eagles centre-back Mamadou Sakho, with 10% of profits going to the Frenchman's charity AMSAK. DevelopmentCrystal Palace Under-23s are today facing the biggest match of their season as they prepare to host a visiting Watford side in a clash that could potentially see them land a place in the Professional Development League play-offs. Club NewsThe race to win the Palace fans Fantasy Premier League mini-league is well and truly going to the wire. Club NewsPlease see below the opening hours for Crystal Palace's box office and club shop as well as for our store in Croydon Centrale shopping centre. Match PreviewsOn Easter Sunday, Crystal Palace will make the short journey across London to the Emirates stadium where they will face a testing challenge against an Arsenal side slowly turning north of the river into a red stronghold. DevelopmentA huge 90 minutes awaits Richard Shaw's charges as they look to book their place in the play-offs of the Professional Development League Southern Division in today's 1pm kick-off. 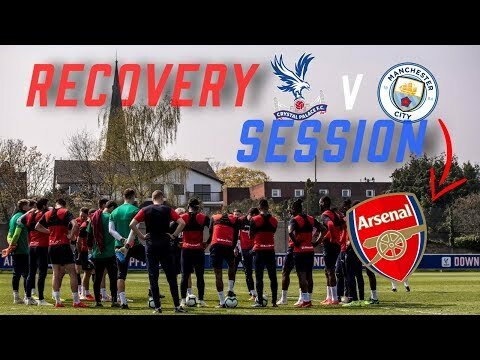 TrainingThe Crystal Palace squad have been preparing in training to face Arsenal at the Emirates Stadium on Sunday. EventsFor the next Business Club networking lunch, the club are delighted to welcome Troy Townsend, father of England and Palace footballer, Andros Townsend and the Head of Development for English football’s equality and inclusion organisation, Kick it Out. EventsThe ninth annual Beer Festival will take place at Selhurst Park on Saturday 18th May between noon and 7pm. Ticket NewsCrystal Palace will face Cardiff in our final away game of the season at the Cardiff City Stadium on Saturday 4th May, 5:30pm kick-off. 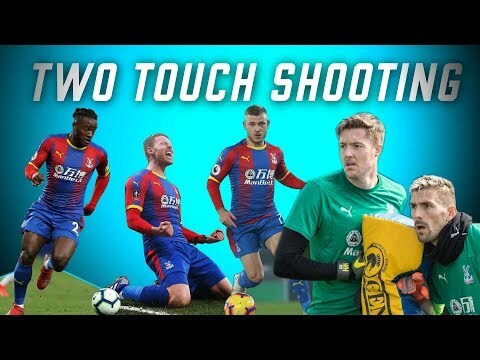 First TeamThe time has come for you to cast your vote for your Crystal Palace FC Player of the Season for the 18/19 campaign.